How to Grill Hamburgers and Hot Dogs. 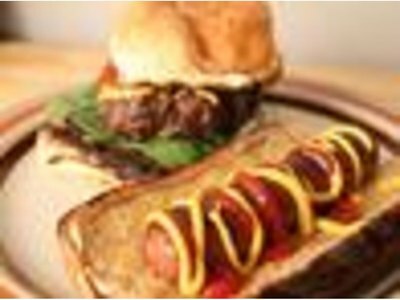 Grilled hot dogs and hamburgers are a sure-fire hit with kids of all ages. It's simple to do and doesn't take very long to cook. There's a reason why you'll find burgers and hot dogs on almost anybody grill during a barbecue. 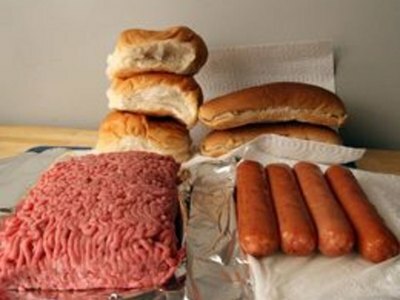 Purchase high-quality hot dogs, ground beef, buns and condiments. Remember that the leaner the ground beef you buy, the drier your burgers will be, so avoid meat labeled "lean" or "extra lean". Season the ground beef with plenty of salt and pepper. 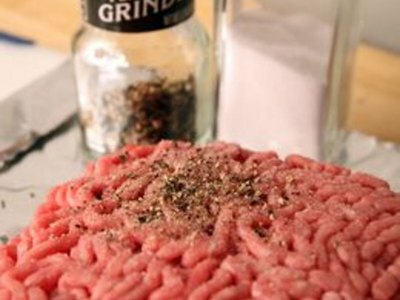 Form ground beef into patties using hands or a mold: Grab a tennis ball-sized piece of beef and flatten it into a patty. Be sure the patty is the same thickness on the edges as it is in the middle. Each patty should be about 3/4 inch thick. To account for shrinkage during cooking, make the patties at least 1/2-inch larger in diameter than the buns you'll be putting them on. Stack the ground beef patties on a plate, separating them with pieces of waxed paper. Refrigerate the patties until it's time to cook. Place the hamburger patties on the clean, well-oiled grill grate. Grill the burgers over high heat for about 5 minutes per side. Hamburgers are cooked to medium when a thermometer inserted into the middle reads 160 degrees F.
Turn hot dogs often until slightly blistered on all sides. How Long Does it Take to Grill Salmon Burgers? 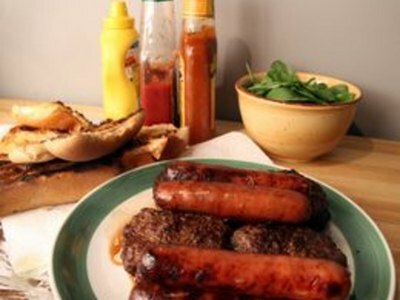 Transfer the grilled hamburgers and hot dogs to a clean plate or platter. Never put cooked meat back on the same plate that held raw meat. 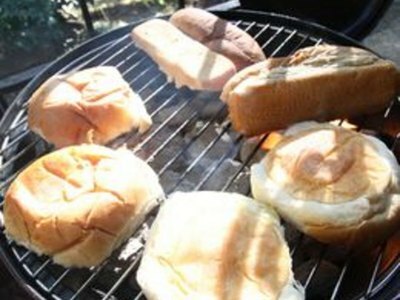 Brush the hamburger and hot dog buns with melted butter and toast them briefly on the grill, if desired. Keep a spray bottle of water near the barbecue in case of flare-ups. The more fat there is in your ground beef, the more the patties will shrink. 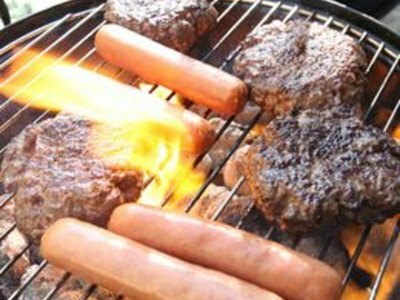 Hot dogs are usually precooked, so you only need to heat them up on the barbecue; plan cooking times accordingly. Be sure hamburgers are cooked all the way through to avoid e. coli poisoning.